Accessory lenses are made of premium Plutonite® lens material, an innovation that blocks 100% of all UV radiation. Oakley’sCAD/CAMengineering makes lens replacement simple, yet maximizes impact protection while the lenses are installed. 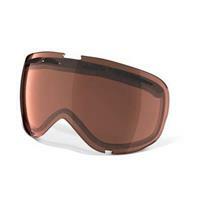 For select goggles, choose an optional Iridium® lens coating to minimize glare and tune light transmission. As said above, since Oakley stopped carrying these lenses for the Elevate, it's hard to replace them. Glad to see that Buckman's still carries them. Pros: Every facet of the product and the online buying experience! Oakley had stopped carrying these lenses. My original lenses were crapped out, but my frames were in perfect condition. No one else seemed to be carrying the lenses, either. But then.... Buckman's to the rescue!!! I bought two! Everything is perfect! Quick shipping! 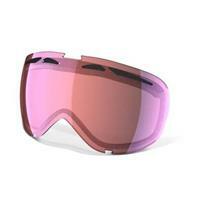 Perfect (original lenses in Oakley boxes) lenses! And they fit perfectly!!! Highest marks to Buckman's!! !